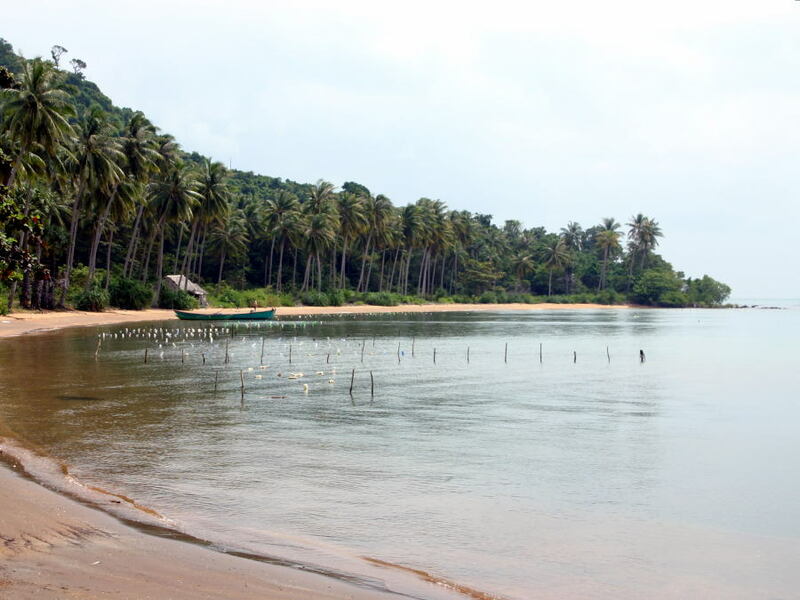 Those looking for the best beaches in the Kampot / Kep area usually head for Rabbit Island, or Koh Tonsay in Khmer. The island is very close to the quintessential deserted tropical isle, with white sandy beaches and coconut palms swaying in the light breeze. There are several beaches, some of them you can have almost to yourself. The long west-facing beach has a few rudimentary restaurants and even a few bungalows for rent. The accommodations are quite basic, with no electricity and, in most cases, no indoor plumbing. Rabbit island is about 20 to 30 minutes from Kep by boat. You can arrange a day's outing to the island through your hotel or guest house, or you can just go to the Koh Tonsay pier in Kep.